Solve For Food, a purpose-driven food innovation start-up, is bringing breakthrough food production technology to the CPG industry and combining that with go-to-market services all under one roof. 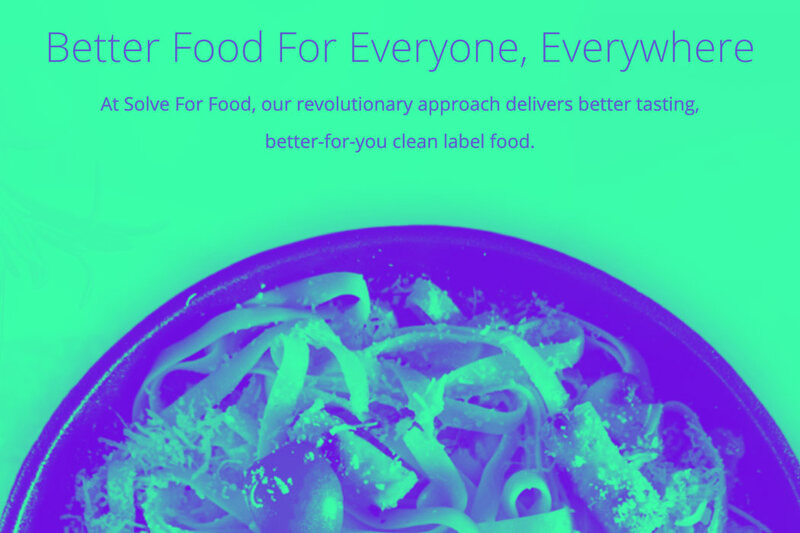 The result is clean label, shelf stable food that will revolutionize the way the world eats. Matchfire was tasked with launching the brand. Leveraging our extensive experience with emerging and purpose-driven brands we developed a complete positioning strategy, brand story, and messaging matrix as critical foundational elements. Next came a clean, modern website and extensive work in PR, thought-leadership, and content marketing. Our targeted digital media campaigns combined with ongoing content development and thought-leadership efforts have created buzz in the marketplace and interest among prospective investors and clients. Matchfire shares the vision of Solve For Food and its mission to bring better food to everyone, everywhere. Read the Solve For Food press release.